Investing into a quality aftermarket remote car starter will not only provide convenience but also additional security. Many are integrated within a car alarm system but some drivers may only want the remote starting of their vehicle. 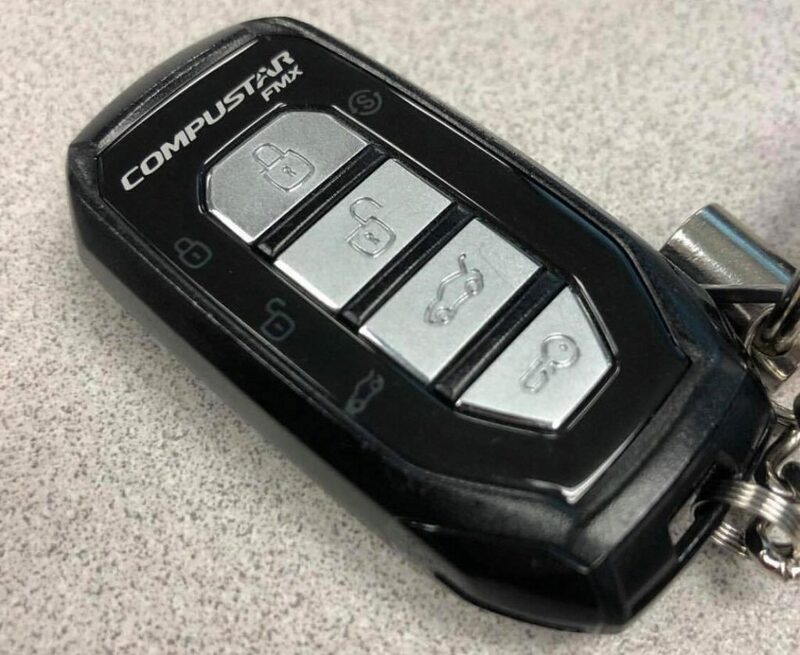 The best remote car starter is the Compustar CS920-S System, which is an all-in-one remote start and keyless entry system for automatic transmission vehicles. Considering that you will require a fairly involved installation, it is worthwhile investing into a quality package. Additional features such as keyless entry, smartphone connectivity and a long warranty can make a huge difference. Some premium manufacturers will have their own take on a remote start system but these will cost several thousands of dollars from new. Therefore, many people purchasing new vehicles will avoid them and choose the more affordable aftermarket alternative, which often features far more functionality than factory versions. When it comes to the installation of a remote car starter, it can be a DIY job for those that are good with wiring. However, most audio installers or auto electricians will be able to fit all of our recommendations in just a few hours. Below is a list of the best remote car starter systems available that provide a variety of features at an affordable price tag. The Compustar brand is well known for their remote start systems and the 920S is their latest model for automatic transmission vehicles. Simply holding a single button down for 2.5 seconds will initialize the start up so that the car is ready for you to drive. There is also a wide variety of convenience features along with remote starting. Unlike many of the alternative remote start systems available, the Compustar 920S can be paired with other devices too. The most popular is connecting this remote car starter to a DR-3400 system, which enables smartphone control and GPS tracking. Overall, the Compustar 920S is the best car remote starter for the money and with added bonus of being able to be upgraded at a later stage. When it comes to high quality systems, there are not many products out there that can match the Directed Electronics 4806P remote start device. It features all the latest technology to provide an impressive 1 mile (5,280 feet) range. The huge range from this remote car starter is thanks to the Digital Spread Spectrum Technology, which is also known as SST. It is certainly a feature that you can use to “show off” with but realistically, finding an area with that range without obstructions can be difficult in the first place. For those wanting the highest quality and best remote car starter you can buy, the Directed Electronics 4806P is a great option. Viper is a very reputable brand with many loyal customers that take pride in the fact that they use their products with decals in windows. There is a wide range of models that they offer but the 4105V 1 way remote start system is a solid option. 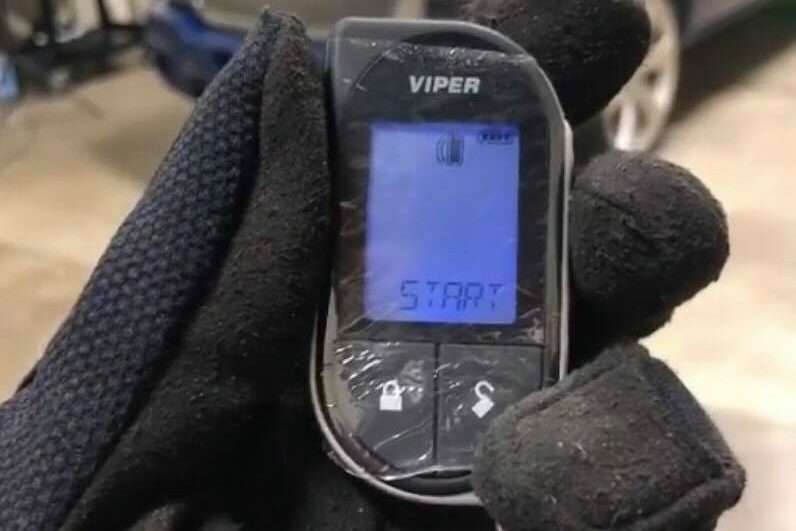 As with the other premium remote start systems available, the 4105V is also compatible with Viper Smart Start module for smartphone connectivity. This is a great option that adds to the functionality with a limitless range. Viper are known for their excellent build quality and easy to use devices and the 4105V is no different. This remote car starter will not disappoint and is available at a relatively affordable price for those on a budget. The Crimestopped RS7-G5 is available in 4 different performance options that range from 1,500 to 3,000 feet range with the latter being the best. Unlike other models with such a long range, the RS7-G5 is still relatively cheap, which is a bonus. Overall, the Crimestopper RS7-G5 is a very capable remote start system that offers excellent functionality at a great price. Unlike many of the alternatives, you can wire this system into manual transmission and diesel vehicles, which makes it highly desirable for owners of these types of vehicles. Avital are another big brand in the remote car starter industry with a range of devices that include just both the alarm and/or the remote start. The 4105L Avistart remote start system is fairly simplistic with a compact 4 button remote control, which is perfect for use with an OEM keyless entry system. To make the installation a bit more easier, Avital have included a dedicated A-to-D converter. This is great for whoever is installing the remote start system because it eliminates the need for a tachometer wire connection, which can be hard to get right. The Avital 4105L is a great cheap remote car starter that can be installed easily, improves convenience and can also add value to your car for a small upfront cost. Investing into a remote start system for your car is a lot cheaper than you would expect. Many are under $100 but we highly recommend looking at the premium devices for extra functionality. Big brands such as Viper, Avital and Compustar produce a wide variety of systems to suit a range of budgets. They work via radio frequencies from your transmitter to a module installed within your cars ignition system. The signal sent to the module is unique and you will not need to worry of any criminals attempting to compromise your system. Desirable features include smartphone connectivity, long range, additional auxiliary ports and much more. As technology has advanced, so have these remote car starter systems. To help you make an informed buying decision, take a read of the below buying guide, which includes factors that you should consider. When it comes to the design, you really get what you pay for. As you can see with the Viper remote car starter above, it has the desirable interactive interface for clear output. This is great but it can make the transmitter feel bulky when carried around or on your key fob. Many prefer the simplistic transmitter that contains 4 or 5 buttons for activating certain functions of the system. You may notice that some remote start systems include two different types of transmitters so that you can choose which one you prefer to use. This also means you have a backup in case one gets lost or breaks unexpectedly. One of the main factors that differs between devices is their range. Of course, the further the range the better but it is not something that is too important. The majority of the time, the car will be nearby or you are in a location that has many obstructions such as building or other vehicles. Therefore, the long range may not make any difference whatsoever. The majority of reasonably priced remote car starter systems will be between 1,000 to 3,000 feet but the more expensive can go much further. Everything these days seems to be connected with your smartphone and this is a good thing. Most remote car starters will have the option to add an additional module, which will allow for a connection between the system and your phone. Once the connection has been made, the range can be limitless and you may also be able to control a lot more features of your car. When it comes to the install of your remote car starter, we highly recommend choosing a professional to fit if you are not confident at DIY. The installation will involve a fair amount of wiring, removing car interior panels and trial and error. Professionals that do this on a daily basis will be able to fit all of the above system in just a few hours. You can expect to pay between $75-125 for the install, which most auto electricians, audio installers and other mechanics will happily take on. For an animated tutorial guide, we recommended this article, which takes you through each aspect of the install in detail. Many remote starter system devices allow for additional functions to be added other than just remote starting the car. From popping the trunk to initializing the cigarette lighter for your car air purifier, the list is endless. It is important to note that not all remote car starter devices will be completely universal. For example, if your car uses a manual transmission, the majority of systems will not be compatible. For example, if the car was left in gear and the car was to start, it would result in the car moving unexpectedly. This is clearly unsafe but there are some systems that will work with manual transmissions such as the Crime Stopper. Another problematic factor are diesel powered vehicles. Due to the process of starting a diesel vehicle, some diesel engines will require a brief period for the glow plugs to warm up. Without them warming up correctly, the car may crank for an extended period of time causing wear and tear. If your vehicle is powered by a gasoline motor and uses an automatic transmission, the majority of systems will be compatible but always check beforehand. Installing a remote car starter to your car is a great modification that adds value and improves convenience. It is also a great way to “show off” and it is a lot cheaper than you would expect. Most people that have this functionality as a factory extra on their new car may be thousands but an aftermarket version will be a fraction of that. All of our recommendations cover a broad range of budgets and offer excellent value for money. If you are not confident at wiring or pulling apart your cars interior, we highly advise finding a local installer who will professional fit the system.